Solgar Ester-C Plus is a premium non-acidic form of Vitamin C with proven superior absorption, effectiveness and tolerance. 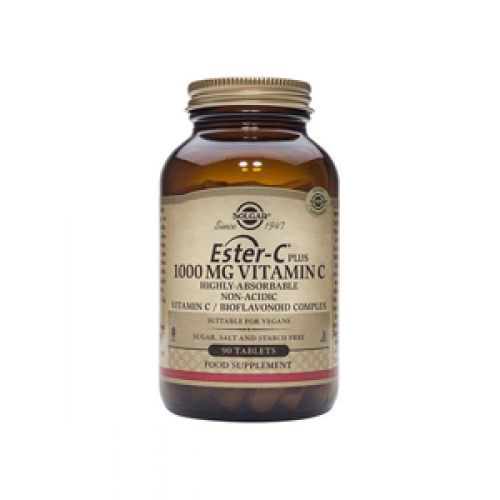 Research shows Ester-C enters the bloodstream twice as fast, stays there twice as long and reaches the cells four times as efficiently when compared to ordinary vitamin C. Solgar Ester-C Plus also contains bioflavonoids, acerola and rosehips for added synergistic effects. This formula provides immune support, antioxidant protection, adrenal support and provides nutrients important for collagen production vital for skin and cardiovascular health. Key points - Uses/Features: Superior absorption & utilisation Non-acidic Immune, adrenal, skin & cardiovascular health Solgar Ester-C Plus is a premium non-acidic form of Vitamin C with proven superior absorption, effectiveness and tolerance. Research shows Ester-C enters the bloodstream twice as fast, stays there twice as long and reaches the cells four times as efficiently when compared to ordinary vitamin C. Solgar Ester-C Plus also contains bioflavonoids, acerola and rosehips for added synergistic effects. This formula provides immune support, antioxidant protection, adrenal support and provides nutrients important for collagen production vital for skin and cardiovascular health. Each tablet provides: Vitamin C(as calcium ascorbate/threonate) 1000mg Citrus Bioflavonoids(as prep) 200mg Acerola Fruit Powdered Extract 25mg Powdered Rose Hips 25mg Rutin 25mg With the naturally occurring vitamin C metabolites (including L-threonic acid L-lyxonic acid and L-xylonic acid) that have been shown to enhance the absorption of vitamin C.
Tableted with these natural ingredients: dicalcium phosphate, microcrystalline cellulose, hydroxypropyl cellulose, silicon dioxide, vegetable stearic acid, magnesium stearate, cellulose gum, vegetable glycerin. Ester-C Plus is exclusively formulated for Solgar and provides a patented method of supplementing pH neutral (non-acidic) vitamin C to prevent digestive irritation. In addition, Ester-C Plus contains the vitamin C metabolites that occur along with vitamin C in nature. A special manufacturing process is employed to form a unique calcium ascorbate metabolite complex. Solgar Ester-C Plus offers the additional benefits of providing acerola, citrus bioflavonoids complex, rutin and rose hips in the Ester C ascorbate metabolite complex. Warnings/Cautions: Vegan Yes Always read the label and use as directed. Vitamins are supplementary to a balanced diet. 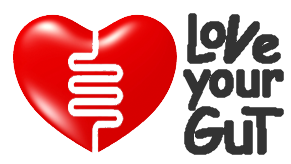 If symptoms persist consult your healthcare professional.